If you are coming to PyCon India 2018 and attending conference, then please read this blog to understand some dos and don'ts along with lot of useful info. If you are coming to PyCon India 2018 and attending workshops, then please read this blog to understand some dos and don'ts along with lot of useful info. Hi Everyone, it's our pleasure to announce the PyCon India 2018’s silver sponsor TalentSprint. Hi everyone, it's our pleasure to announce proud silver sponsors for PyCon India 2018. We have been receiving few queries about Dev Sprints, so this blog clarifies most of such queries and doubts, please read the other blog we posted for Dev sprints before this, if you haven't yet. Hi Everyone, it is our pleasure to announce Zauba Cloud, as PyCon India 2018’s gold sponsor. PyCon India 2018 Devsprints will happen on 8th and 9th October at Talent Sprint, PSR Prime Tower, Beside DLF Cyber City, Gachibowli, Hyderabad. We are excited to announce that tickets for Devsprints are open now! Hi Everyone, it is our pleasure to announce VMware, as another PyCon India 2018’s gold sponsor. Hi Everyone, it is our pleasure to announce Google, as PyCon India 2018’s gold sponsor. Hi Everyone, it is our pleasure to announce Corteva Agriscience, as PyCon India 2018’s gold sponsor. Hi Everyone, it is our pleasure to announce IBM India as PyCon India 2018’s gold sponsor. Hi Everyone, it is our pleasure to announce the PyCon India 2018’s gold sponsor Soroco. Have you always wanted to get started with contributing to Open Source Software (OSS) but simply don’t know where to start? Are you an experienced OSS contributor looking for projects that could use your help? Are you the maintainer/contributor of an OSS project and need help with fixing bugs and/or managing the project? Or did you try contributing to an Open-Source project but got lost somewhere in the middle due to lack of guidance or motivation? If you answered “Yes!” to any of the above, then Dev Sprints are here for you! Hi Everyone, it's our pleasure to announce the PyCon India 2018’s silver sponsor FOSSEE. Hi Everyone, it is our pleasure to announce that we have partnered with OYO Rooms as the Accomodation Partner of PyCon India 2018. People attending PyCon India 2018 can book rooms by contacting our Contact Person and avail discounted prices for Hotels booked via Oyo Rooms. Hi Everyone, it is our pleasure to announce PyCon India 2018’s platinum sponsor Indeed. Hi Everyone, it is our pleasure to announce the PyCon India 2018’s gold sponsor LiveHealth - A Diagnostic Management Solution. Hello folks, it is our pleasure to announce Go-Jek, as PyCon India 2018’s Platinum sponsor. Hi Everyone, it is our pleasure to announce PyCon India 2018’s platinum sponsor D. E. Shaw India. Hi Everyone, it is our pleasure to announce the PyCon India 2018’s first gold sponsor Pramati Technologies. 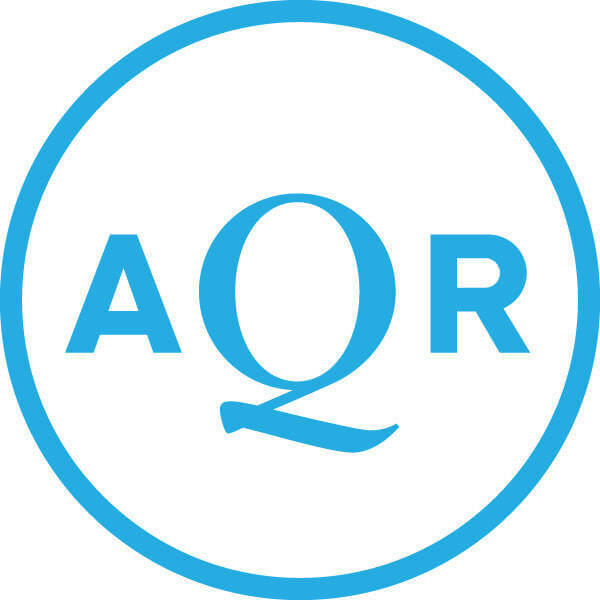 Hi Everyone, it is our pleasure to announce the PyCon India 2018’s first platinum sponsor AQR. PyCon India 2018, the tenth edition of the premier conference in India on using and developing the Python programming language is conducted annually by the Python developer community has started ticket sales for the mega event that is scheduled from 5th - 9th October 2018. The call for proposals for PyCon India 2018 has been up and running for a few days now. We already have quite a few exciting proposals, and it is only going to get better. The programme of a conference is undoubtedly the greatest part of the conference. It is in the talks and workshops that the participants can learn the most and speakers can make the most impact. The time has come! And we are thrilled to announce the opening of Call for Proposals. We encourage everyone to submit a proposal on any topic they would like to share with the community. There has been few major changes in the organisation of PyCon India 2018 due to some unavoidable circumstances & to have a successful PyCon India. While the preparations are under full swing to celebrate the 10th year anniversary edition of PyCon India and make the event a grand success, here's a chance for you and your organisation to make it even better! This blog post is old. There has been a change in PyCon India 2018 Location. The Announcement can be found in this blog post. A decade of unity in diversity presents - the 10th year anniversary edition of PyCon India! Announcing HyperTrack as the Platinum Sponsor- Pycon 2017. Announcing Tensor Flow as the Platinum Sponsor- Pycon 2017. PyCon India 2017 - Workshop ticket price slash! Pycon India 2017 – Community Spaces Announced. PyCon India has just got a new Gold Sponsor Visible Alpha. Details about the different tickets for PyCon India 2017. PyCon India 2017 - Call For Proposals is open! "Winner of Kenneth Gonsalves Award 2016-Dr.Ajith Kumar B.P!" Announcing Third Keynote Speaker for PyCon India 2016 - Van Lindberg! Announcing Keynote Speakers for PyCon India 2016! PyCon India 2016 - CFP link and details. Registrations open for PyCon India 2016! PyCon India 2016 - Registration link and details. Winner of the 2015 Kenneth Gonsalves Award - Vijay Kumar! Proudly announcing Vijay Kumar as the 2015 Kenneth Gonsalves Award winner! Dev sprints - Registrations open. Register yourselves for the Dev Sprint. The final schedule is out! Announcing first cut of the talk schedule. Announcement of the fist cut of selected talks. Details for availing OYO Rooms accommodation discounts. Details for availing Goibibo travel and accommodation discounts. PyCon India 2015 - Workshop Introduction. Dev sprints - The Call For Proposals. Put in your proposals for the PyCon India 2015 Dev Sprint! 140+ Proposals and the review begins! Announcing the closure of call for proposals. PyCon India 2015 - Announcing Child Care facility. PyCon India 2015 - Dev sprint announcement and planning. Registrations open for PyCon India 2015! PyCon India 2015 - Registration link and details. PyCon India 2015 - Volunteers Roles and Responsibilities. PyCon India 2015 - Announcement and Important dates.